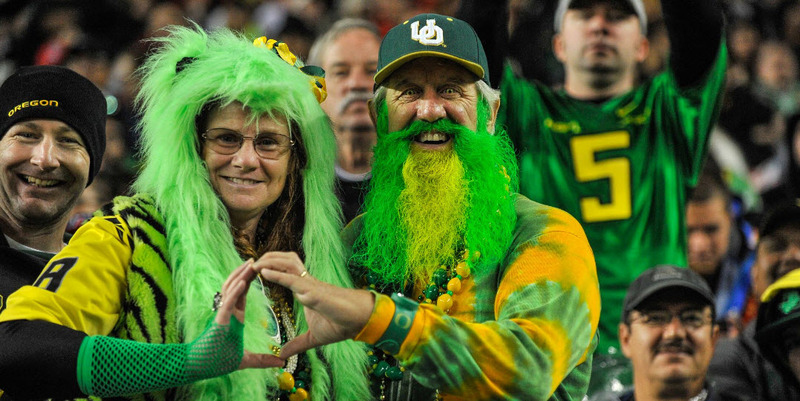 Regarding Helfrich: How Much SAY Should a Fan Have? 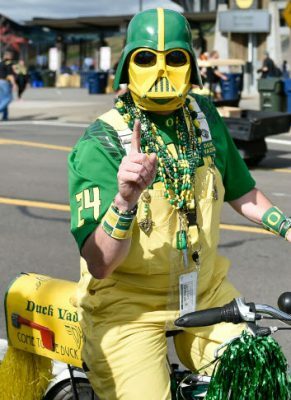 A week ago it was reported that former Oregon athletic director Pat Kilkenny offered his support for Mark Helfrich and yet added that the fans will have their vote, their say in the future of Oregon football coaching. It got me to thinking about all the articles written on this site, the comments and all the negatives and positives I have read here and on other media sources. How much say should the fans have? How do you separate the importance of some fans versus others? Rob Mullens has a terrible choice to make in the short term – where does “the fan” enter into it? Is it the simple conclusion that the fan pays the bills, and the customer is always right? 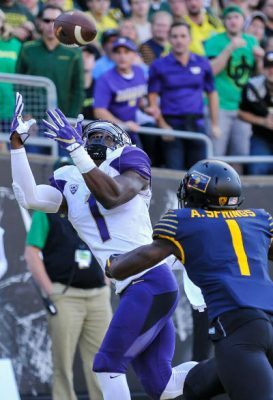 Do you separate the irate fan who only watches games on television from the fan (such as myself) who shells out some major money to have sweet tickets in Autzen? If you designate it by money – how much? Now I get that Phil Knight should have a say in it considering all he has done for the university, Oregon football and for we fans. But how much should Mullens listen to the paying fans? It is the truth, as most of you reading will never understand or even believe it. Few have had the experience of having a knowledgeable coach go through game clips with you as I have. By age 55, I had played high school football, studied it a little and watched thousands of hours by that age. Yet when sitting with the Grizzled Ol’ Coach – I was stunned at what I did not know. I have learned a ton since that episode five years and 250 analyses ago, yet my knowledge base still pales compared to so many who have been paid to coach the game. I have begun to understand the frustrations of coaches who hear the silly things uttered by fans, as I have been barraged by them in my emails. These fans are sincere, and their points make perfect sense to them. I am sitting in the infamous ManCave with the GOC on Sunday morning after the Colorado loss going over plays for analysis and lamenting the game, when my cell phone rings and on the line is a friend who is a fantastic writer … and someone I respect. Yet he was livid about the fade route play call that ended the game against the ‘Buffs and thought that the play was “stupid” coming from Helfrich-Lubick. When I attempted to explain that the play call was fine, but the throw was short? There is so much that goes into game planning and play management based upon the defense, your players, time left, etc. Coach Mike Morris felt that to second-guess the coaches when none of us had all the information they did – was shortsighted at best. Think you’re smarter than the coaches? Then call the play before it begins! Or I tell you the down and distance and give you the play and you tell me if it worked in advance? Try that for awhile, as then you get humbled and become a bit more human, as the coaches are. It truly is harder than it looks. I could not believe my eyes reading of how some fans felt that Oregon should have been running the ball instead of Justin Herbert throwing the game-stopping interception at Cal. Let me get this right … the freshman had thrown six touchdown passes and he was hot–hot–hot and you want to take the ball out of his hands? What that says to me is that fans that donate and buy tickets have the right to state their opinion, but that does not make them qualified to do so. But I am right here, so there you go – but real coaches do not respect how many fans operate. Fans act as if the coaches did it on purpose to hurt us! “You really let me down,” is something that coaches hear and cannot wrap their minds around. The thousands of hours put in and dedication to their craft and the players – and people sit in on their job looking over their shoulder on average of once a month each year. How would you like that? Clay Helton at USC was on a very hot seat at 1-3 and they almost removed him? So Brian Kelly at Notre Dame (4-7) and Mark Dantonio at Michigan State (3-8) have become stupid in just one season like Helfrich? What if we did not give Rich Brooks time? What if Colorado had not given Mark MacIntyre three losing seasons to turn it around? You really want to fire a coach over one bad season? Regardless of the Civil War result – I am settled on my feelings about this team. Special Teams will continue to be mostly good under Tom Osborne (no change please), and I am actually pleased with the offense considering we have six freshmen running it. Six? Yes, I include Matt Lubick in that, as he had a wonderful game plan against Utah and will get better as Scott Frost explained at a coaching clinic. We all get better with experience, and I believe he has tweaked the offense to match our personnel pretty darn impressively. This young offense is first in the conference in total offense, and first in rushing offense and I do not believe we will get caught in either category in the final game. Oregon is averaging 38 points playing five freshmen (when have the Ducks ever done that! ), and while you can picture improving your scoring average moving up from 28 points to 45 points; it is impractical. Moving up seven more points from 38 is entirely possible with these young guns, and that puts them back in the top five for scoring in the nation again! 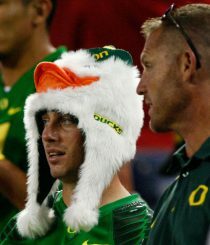 Keep Helfrich-Lubick on offense, and retain the Oregon Offense institutional knowledge (and brand!). The defensive line is beginning to rely on muscle-memory from enough repetitions in the 4-3 defense of first identifying the gap they defend, and then penetrating it as opposed to the 3-4 defense of standing-up-the-offensive-lineman-and-reading-the-play. For once we have some nice examples on defense in today’s analysis article and some bright spots are emerging in the young talent stepping up past upperclassmen. It seems to me, however, that Brady Hoke tried to do too much and integrate so many concepts and defenses that Oregon was not technically or fundamentally sound through most of the season. Add to that the learning curve of how many years it takes to call the defensive signals and develop the feel for what to call and when? We do not have that kind of time when this candidate is available or this one. 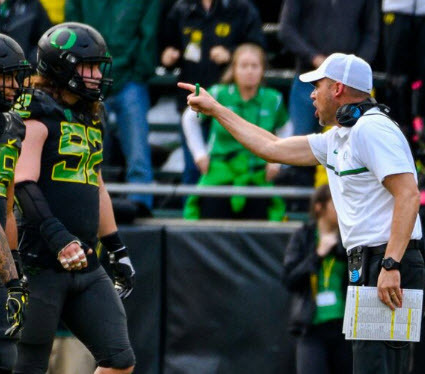 Helfrich needs to make a change at defensive coordinator immediately. Hoke is on contract and is a great defensive line coach; keep him there along with John Neal in the secondary, and wish the others a happy retirement and our grateful thanks for putting us in the National Championship game. So look at me; I am a schmuck suggesting firing coaches and pretending I know what-the-hell I’m talking about. But I cannot help it as I am a fan.